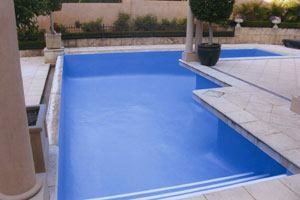 The Pool Renovators provide a variety of options for swimming pool resurfacing and recoating of concrete, vinyl liner and fibreglass swimming pools in Perth. Pool resurfacing, restorations, pool renovations and pool coatings that suit every type of swimming pool. 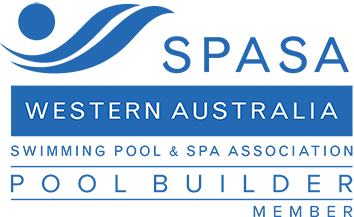 You are assured your swimming pool will be finished with market leading pool resurfacing and renovation, restoration and coating services in Perth, including pool osmosis repair. What pools can be resurfaced? No matter what the original surface of your swimming pool is, we will be able to apply a suitable pool resurfacing or recoating option that will transform your old worn out pool back to the centre piece of your entertainment area. Have a look at our complete projects page to see how we can transform your swimming pool. The Pool Renovators have a number of methods to restore your old concrete pool to a new and vibrant swimming pool that will be the focal point for your outdoor living. Epoxy Coating – A low cost solution that provides a quick and effective coating. Fiber-lining – Lots of features and greater benefits to most other pool coating systems. Re-plastering – A highly desirable finish, suitable for existing marble plaster pools. Fully Tiled – Generally done on concrete swimming pools and is the ultimate in surface finished. 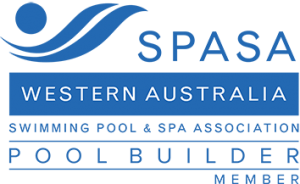 Fibreglass pools are best coated with our Fibreline pool coating system. However, a fibreglass pool that isn’t showing signs of osmosis, can be resurfaced with a general Epoxy coating for a quick and cheaper alternative. Generally, vinyl lined pools have a brick and buttress construction with either a concrete or sand base. You can easily have your pool converted to a high-quality Fibre-lined pool for a complete and amazing finish. For more detailed information, see our Vinyl Liner to Fibreglass Conversion page. If you have a different swimming pool or are not sure of the type, feel free to contact us for an appraisal. We have vast experience in swimming pools, from construction to restoring, so you can be assured your swimming pool will be great in no time with our variety of options for pool resurfacing and recoating! Please contact us for more information and a free quote for your swimming pool resurfacing.